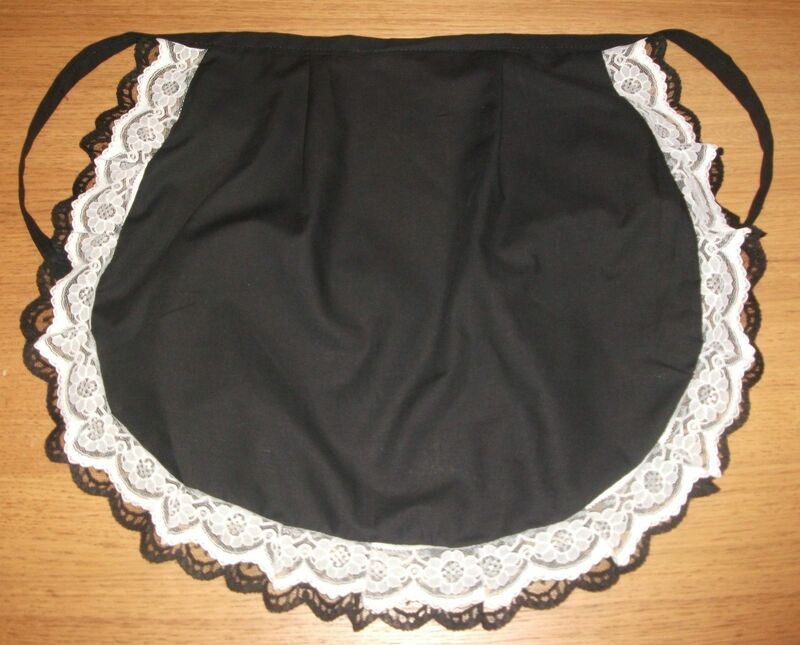 Quality black cotton trimmed with Black and white lace. poorer quality poly cotton due to washing and drying over time. Tumble dry or line dry.minimum iron.